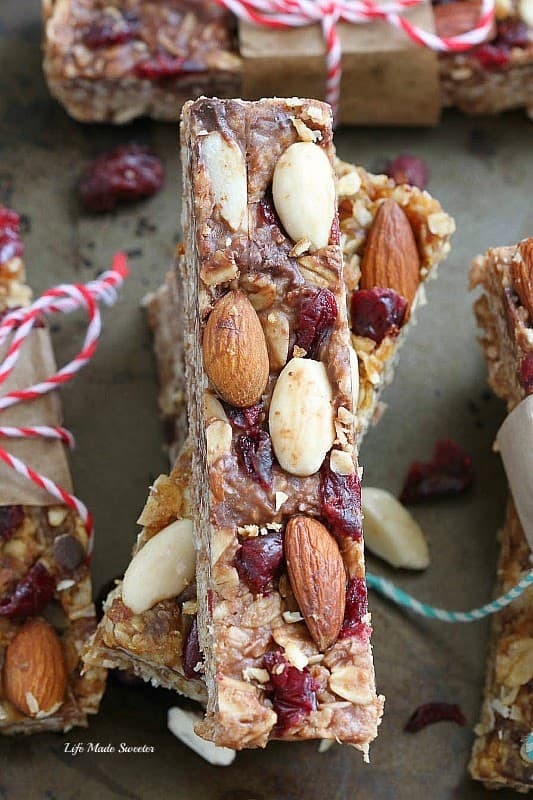 These chewy no-bake almond and cranberry granola bars make a healthy, satisfying snack made all in one pot with with NO butter, have no REFINED SUGAR added, and are VEGAN and GLUTEN FREE with certified gluten free oats. 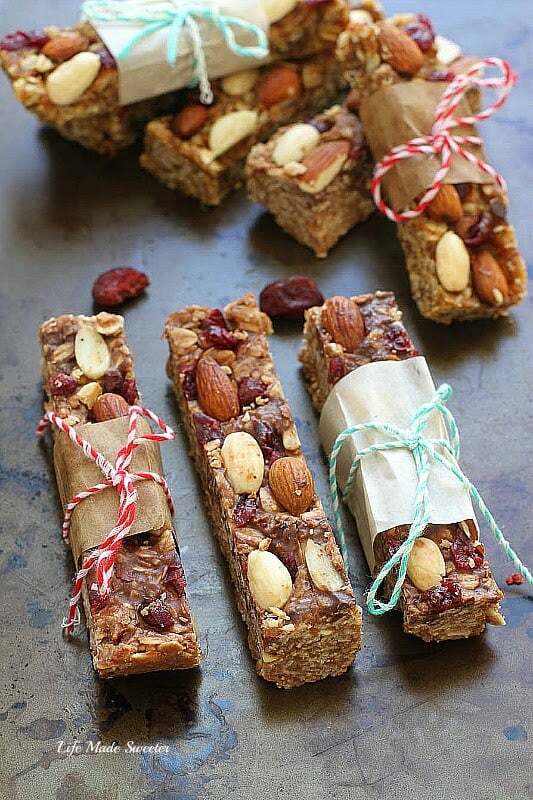 Granola bars are one of my favorite easy snacks I turn to when I want to fuel up quickly after a workout. I make a different batch every week depending on what I have on hand. 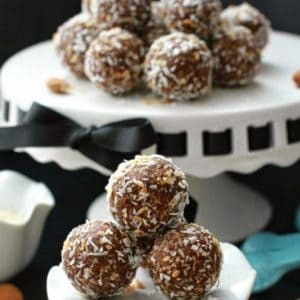 I’ve been trying to come up with a healthier no-bake version that still tastes great with that perfect chewy texture. Plus, it was important that this would remain an easy recipe that you can make all in ONE POT and without having to use a FOOD PROCESSOR. One of my least favorite things to do is having to wash 5 bowls just to make granola bars. 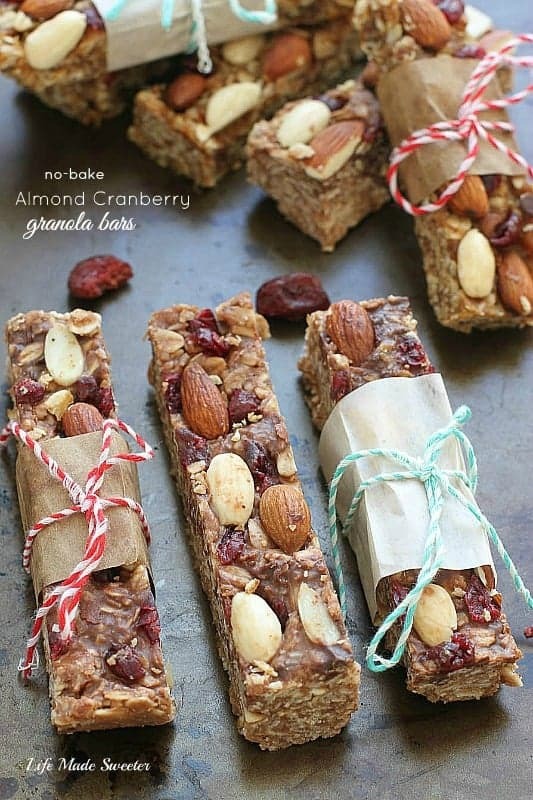 These Healthy Chewy No-Bake Granola Bars with Almond & Cranberry were one of the batches that met all of those criteria the best! 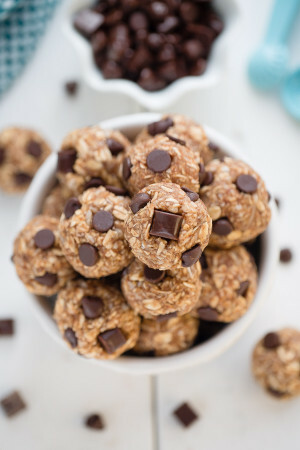 They come together easily in ONE POT and are sort of a cross between a Lara, Kind and Cliff bar combined in one. and NO added refined sugar. 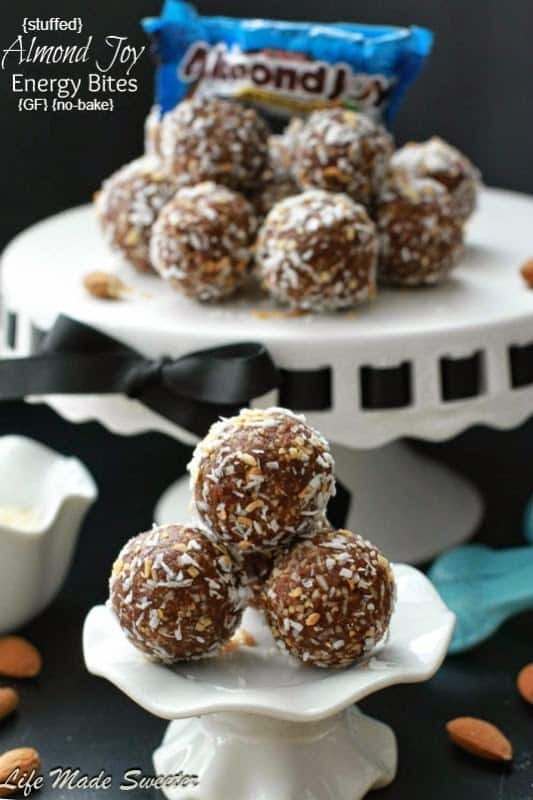 With this batch, you get soft and chewy with crunchy almonds in every bite. Peanut butter gives these that nutty flavor as well as protein to give you energy to start the day. Sub in almond butter or any other nut or seed butter if you don’t want to use peanut butter. Plus, they’re also gluten free depending on the brand of oats you buy. 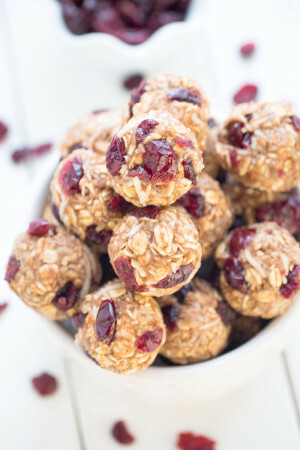 The cranberry and almond flavor work extremely well together in here but you can leave out the dried cranberries if you prefer. You can always toss in some dark chopped chocolate or even add cocoa powder and cashews to mix them up if you’d like. And I find these bars are the perfect amount of sweetness even without any refined sugar. 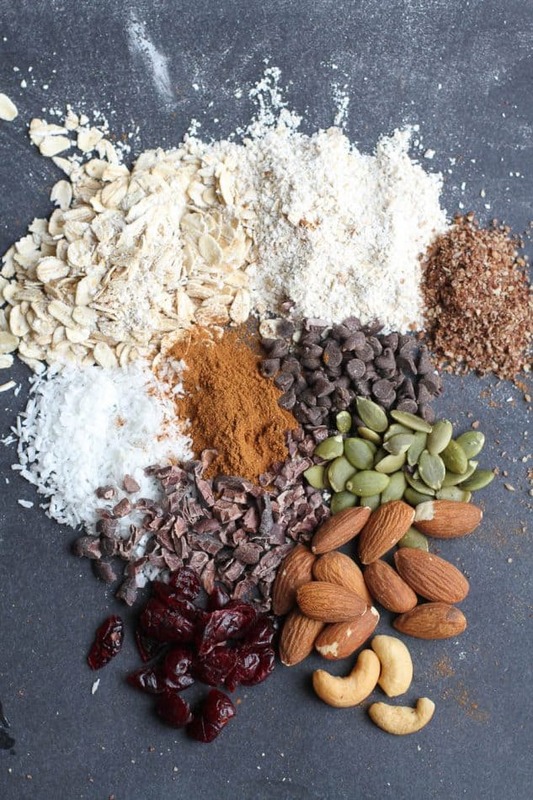 I wanted to keep my bars sugar-free but if you prefer your granola bars on the sweeter side, you can definitely add in the sweetener of your choice. 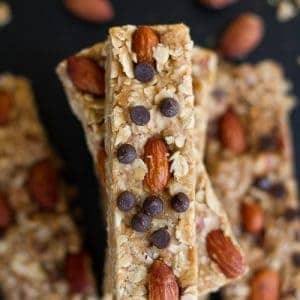 These bars give you that energy boost you need for a pre/post workout snack and make a healthy and hearty grab-and-go breakfast/snack that the entire family will love! Feel free to use the ingredients and brands you love and have on hand. 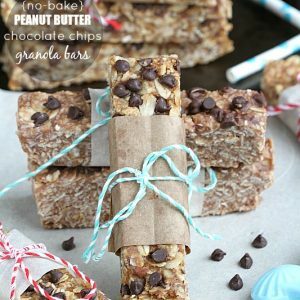 I am only sharing what I used to show that granola bars can be made healthier. Add dates and water to a medium pot on medium low heat. Mash down with a fork and continue stirring and mashing while the mixture heats up. The dates should soften after about 3-5 minutes. Continue mashing and stirring until paste becomes smoother and uniform. It is okay to see some chunks still - as long as it is a uniform paste then it is ready to use. Spread evenly and press down firmly using a flat spatula. Sprinkle remaining almonds and dried cranberries evenly. Press down firmly again with spatula or your hands to flatten and bind together. Chill in the freezer for 1 hour or refrigerator for 3 hours or overnight to set. They keep well in an airtight container in the refrigerator for up to 1 week or store in freezer for up to 1 month.